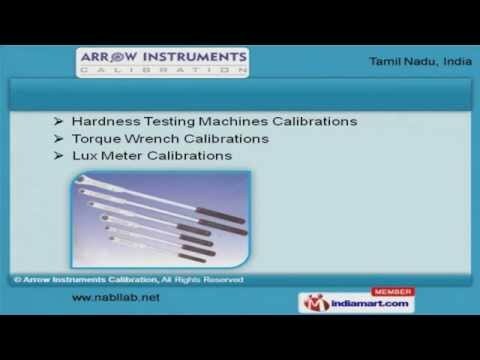 Welcome to Arrow Instruments Calibration Offering Calibration Services The Company was established in the year 2000, at Coimbatore. Our Technically soundinfrastructure helps us to Cater Indian Subcontinent. Customized packaging, excellent logistic support & competitive prices help us toachieve an enviable position in the industry. Instrument, Test Equipment & Digital Thermometer Calibrations are some of ourservices. We offer Digital Micrometer, Pressure & Vacuum Calibrations that are a class apart. Our Meter & Density Calibrations are widely appreciated in the market. We also provide Hardness Testing Machines & Torque Wrench Calibrations that arebest in the industry. Along with that we offer Timer, Moisture Meter & Industrial Consultations that are costeffective. Our Factory Licenses & Water Sample Analysis are in huge demand across the globalmarkets.